Firstly, Superhype Music is the publishing company for self-penned Led Zeppelin songs and appears on the 1st album for a matter of a few weeks and then is replaced by Warner Bros./7 Arts. The cover song of “You Shook Me” was written by Willie Dixon and published by Jewel Music. Superhype does not make any further appearance on another Zeppelin album until the 4th Untitled one in 1971. Publishing of original Led Zeppelin songs on 2nd and 3rd albums is handled by Warner Bros. Music. Note that this changes to Kinney Music on reissues of Led Zeppelin II and III. (This is because Kinney Music Group acquired the Atlantic label and Warner Bros in late 1970 which is why the previous catalogue numbering system changed to a ‘K’ prefix followed by 5 digits from 1972 onwards). The 4th Untitled album is published by Kinney Music Ltd AND Superhype. 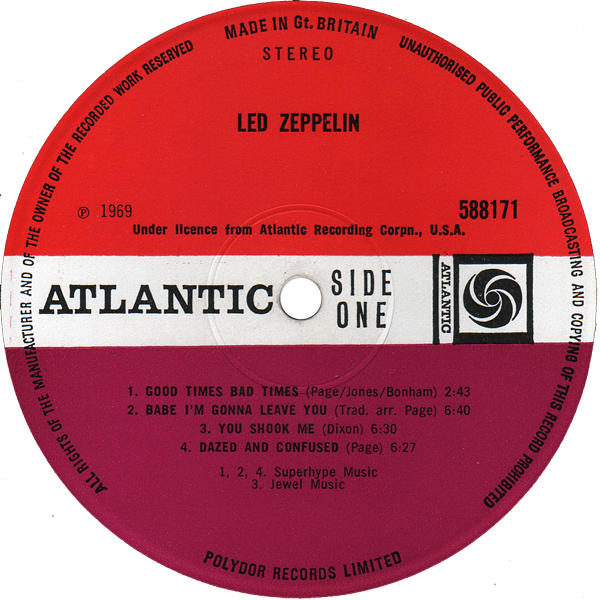 It’s also the last Led Zeppelin album with the old catalogue numbering system and the so-called ‘red/plum’ label. Despite the Kinney Music acquisition, “Houses Of The Holy” bizarrely goes back to Warner Music AND Superhype. “Physical Graffiti” is published by JOANELINE MUSIC INC. Which suggests to me an American publishing company. “Presence”, “In Through The Out Door” and even the previously unreleased original LZ tracks off “Coda” are published by Flames Of Albion Music. “I’ve always had doubts concerning the order in which the various releases of this album actually appeared (1-Turqouise lettering on cover and Superhype credits on labels; 2-Orange lettering on cover and Warner credits on labels; 3-Orange lettering on cover and Superhype credits on labels). The Superhype company was created at the end of 1968 and Led Zeppelin allegedly recorded their album in September of the same year. It is much likely that they initially gave the publishing rights to an already existing company like Warner and soon switched them to the newly created Superhype. Otherwise I can’t see the point of songs credited to Superhype, then to Warner and again to Superhype in just a few months. So, with a bit of digging around, here’s what I found. 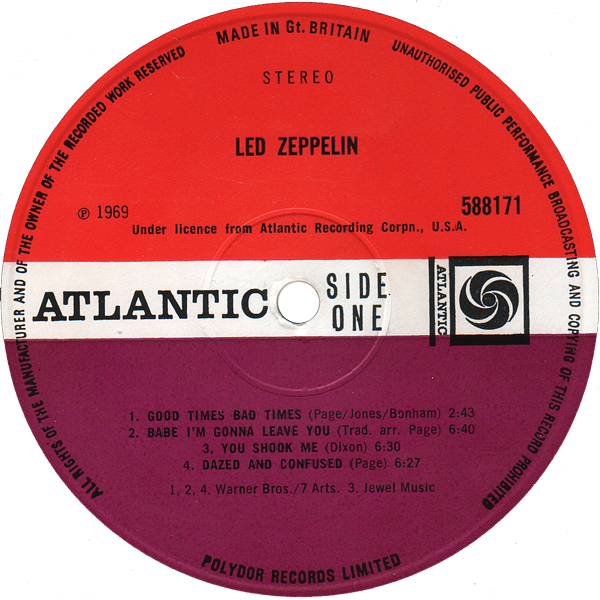 Led Zeppelin recorded their debut album over a 4 week period during September and October 1968 at Olympic Sound Studios, London. 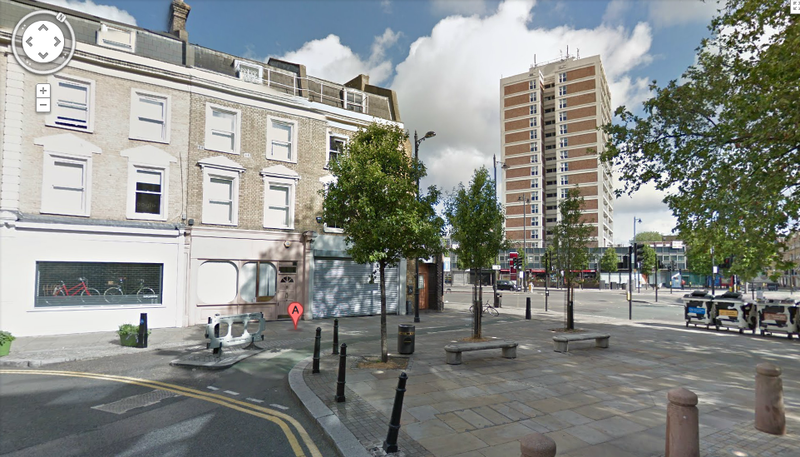 (117 Church Road, London, SW13 9HL). Page stated it took 36 hours of studio time recorded over a few weeks at a total cost of £1,782 (which equates to £49.50 per hour, although this was pre-decimalisation, so in reality it would have been £49 and 10 shillings per hour…!) In today’s money, the economic equivalent cost of that recording session would be around £57,000 (taking into account inflation, and other assumed increases in costs, equipment, resources, labour rates etc). So the timing of the publishing rights assigned to Superhype does make sense…(to answer the initial query above). So why did Page, Plant, Bonham, Jones plump for Superhype…what with it being newly incorporated just as their debut album was being finished? The answer is quite simple. Even though Superhype Music is now dissolved as a company, there is another company in existence called Superhype Tapes Limited, the directors are James Patrick Page, born 1944, registered address is 91 Tabernacle Street, London…any of this sounding familiar?!!! …the other directors for Superhype Tapes Limited are Mr Robert Anthony Plant, Mr John Baldwin and Ms Joan Hudson. One would reasonably assume that the other original director of Superhype Music Ltd would have been one John Henry Bonham. Therefore, it looks like it was Page himself (along with making his band members co-directors) who founded Superhype back in 1968 in order to control his own publishing rights…which, given the future control Peter Grant managed to exercise over record deals, concert promoters, merchandise etc, this would make perfect sense to control as much of the artiste’s output (and also finances) as possible. This company was founded in August 1961 at 45-51 WHITFIELD STREET, LONDON, W1P 5RJ. It was dissolved 28th August 1990. The company records (including directors etc) have been archived and are no longer freely available. Quite why this was used for “Physical Graffiti” publishing is unknown.